Kris Wilkins is a certified Spin instructor based in NYC. A native Texas living in the Big Apple, Kris spends his days as a Brand Manager and his nights leading upbeat Spinning classes. His love for indoor cycling inspired him to hone his skills and become an instructor so that he could start to inspire classes through his own high-energy rides. 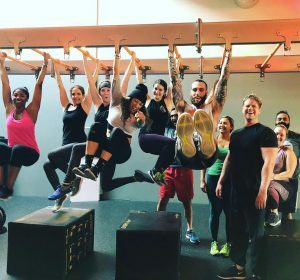 Workout Factory is a premiere fitness studio in Long Island City, located in the warehouse of LIC Food and Flea. Come unplug and sweat it out with a half a dozen class experiences!